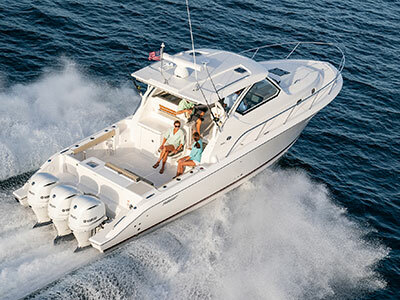 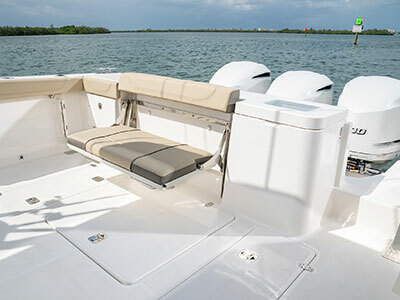 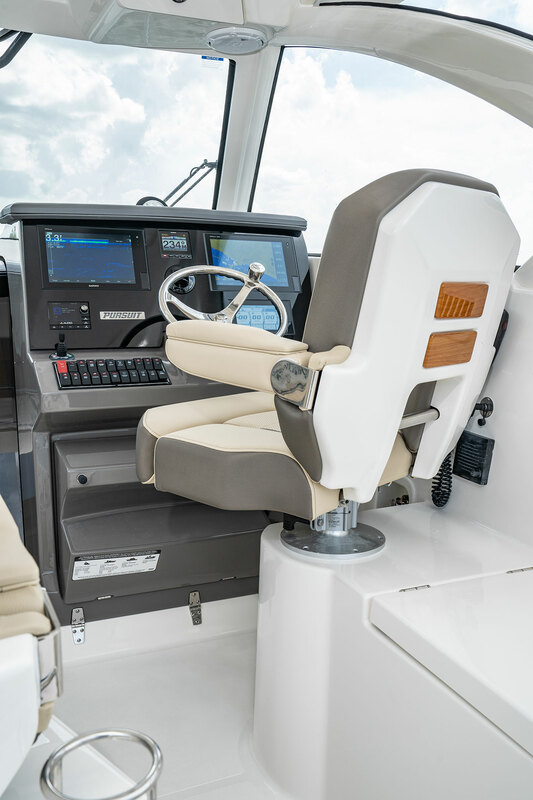  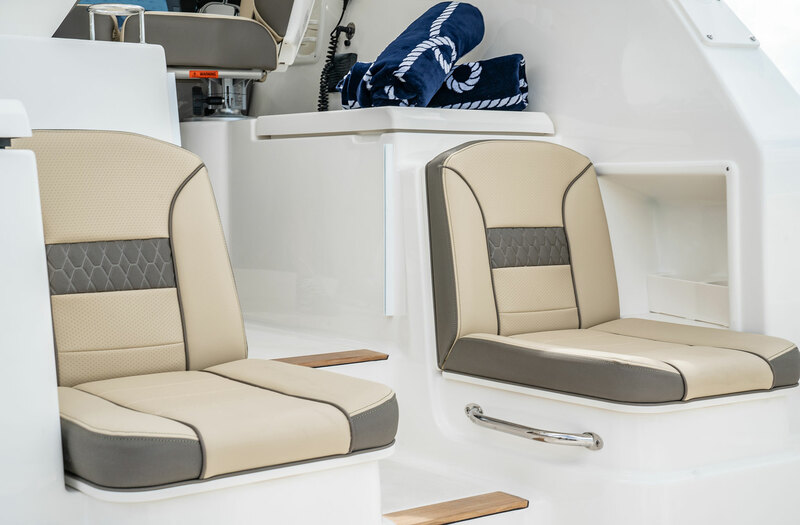 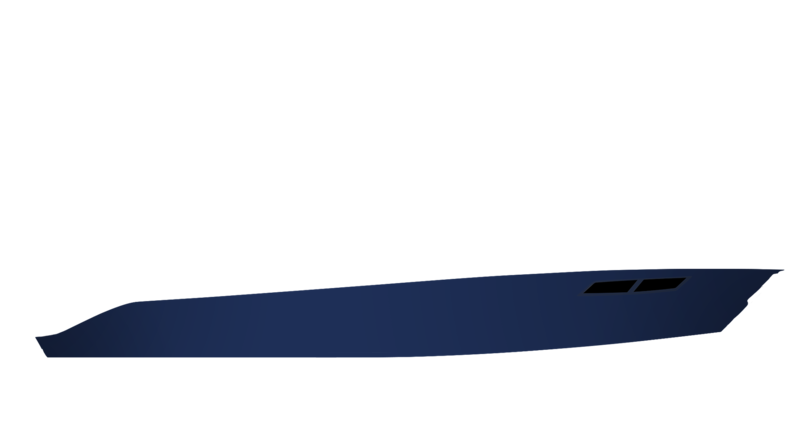 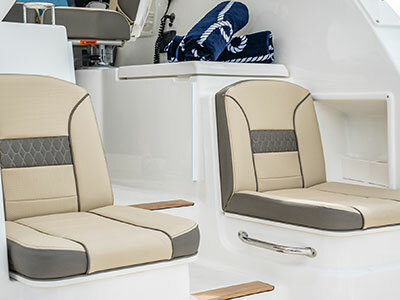 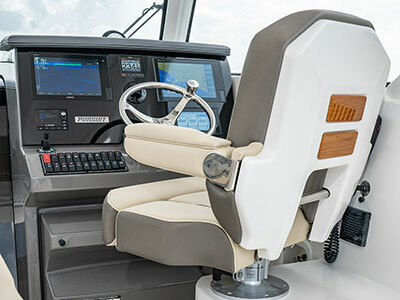 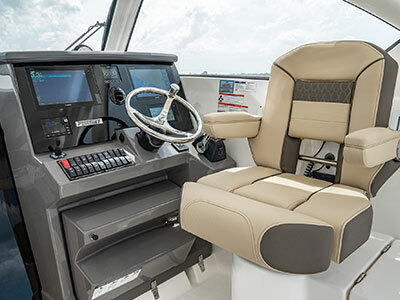 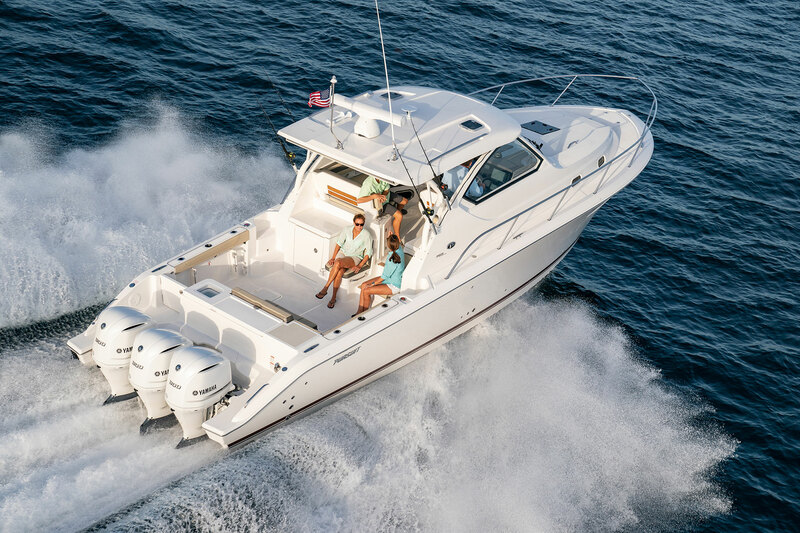 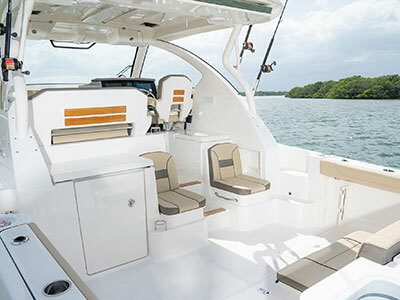 A single-piece optically clear windshield, new exterior fabrics and finishes with exciting new seating arrangements give you every reason to dive into a brand new Offshore. 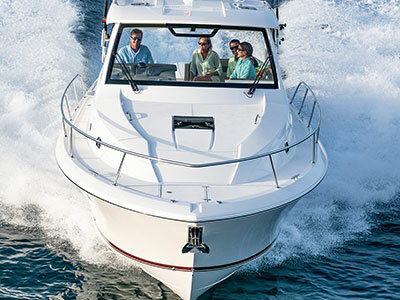 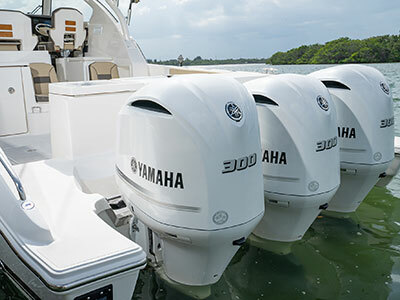 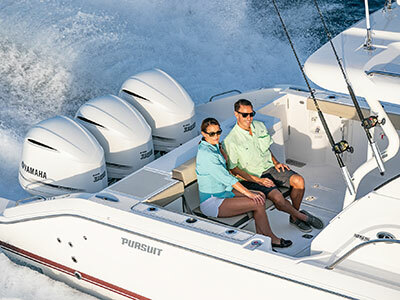 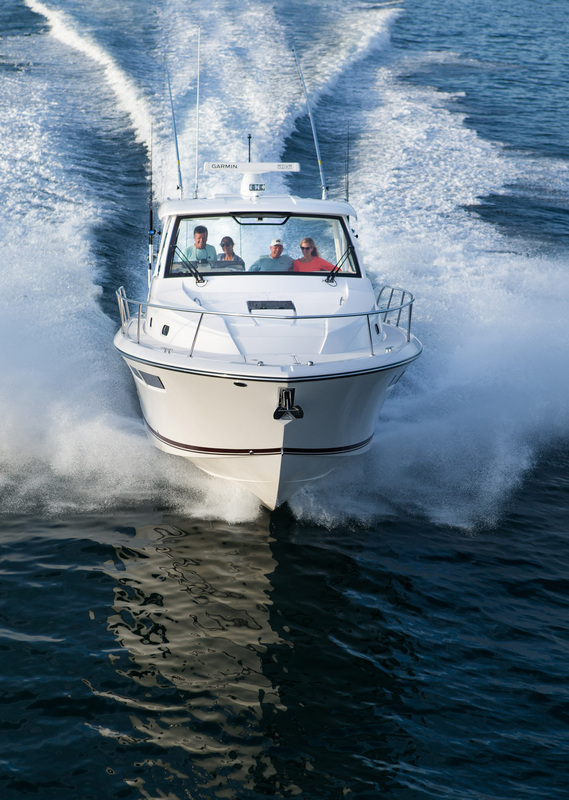 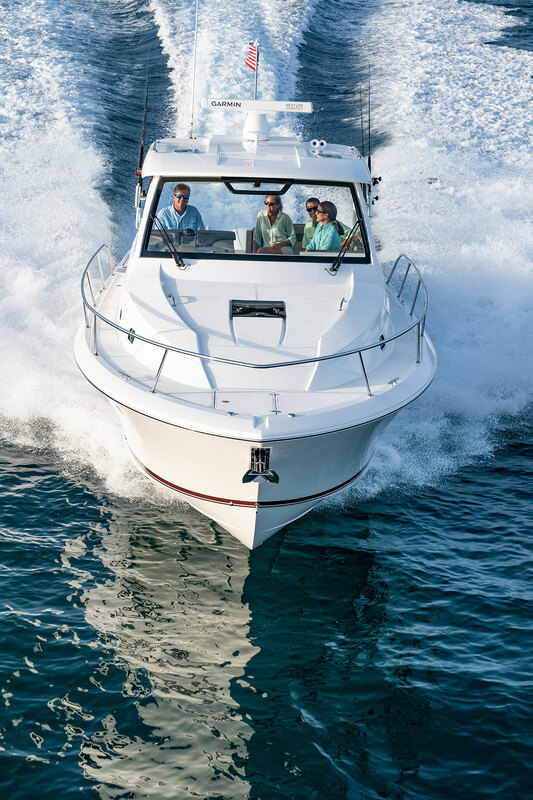 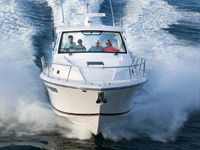 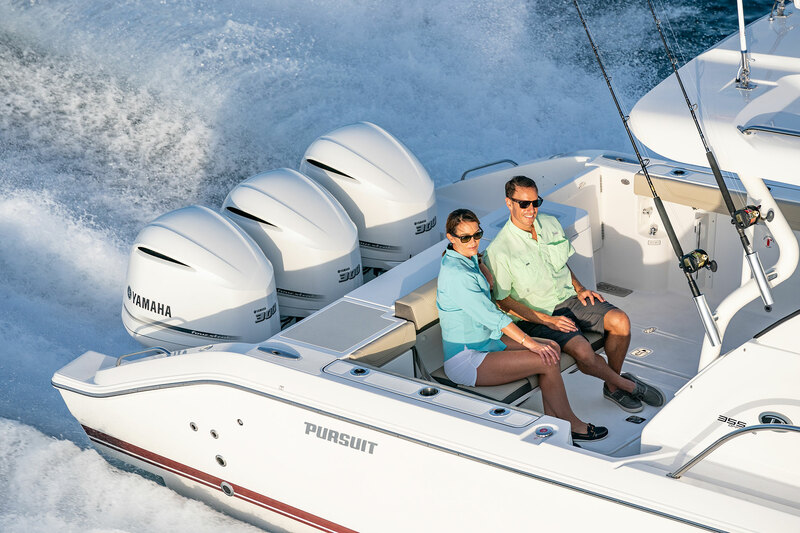 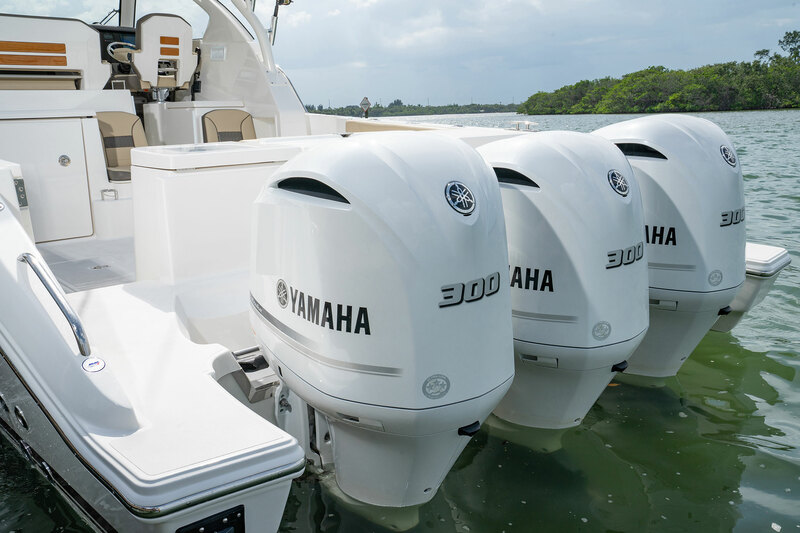 Standard triple Yamaha F300 engines give you the power you’ve been looking for. 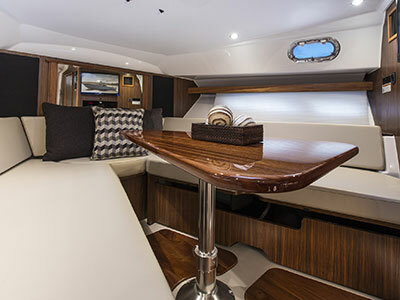 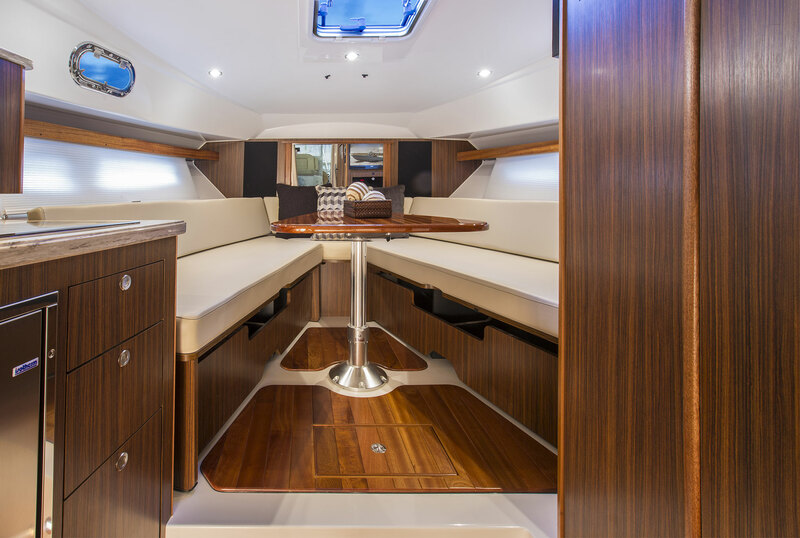 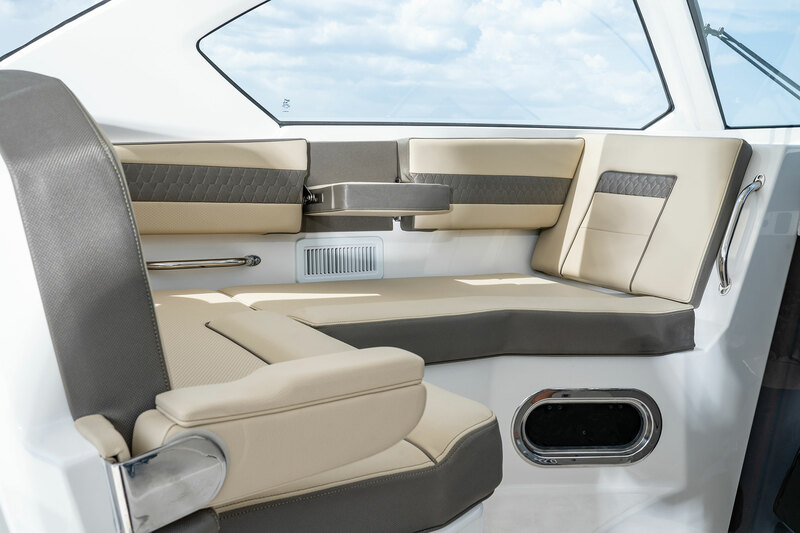 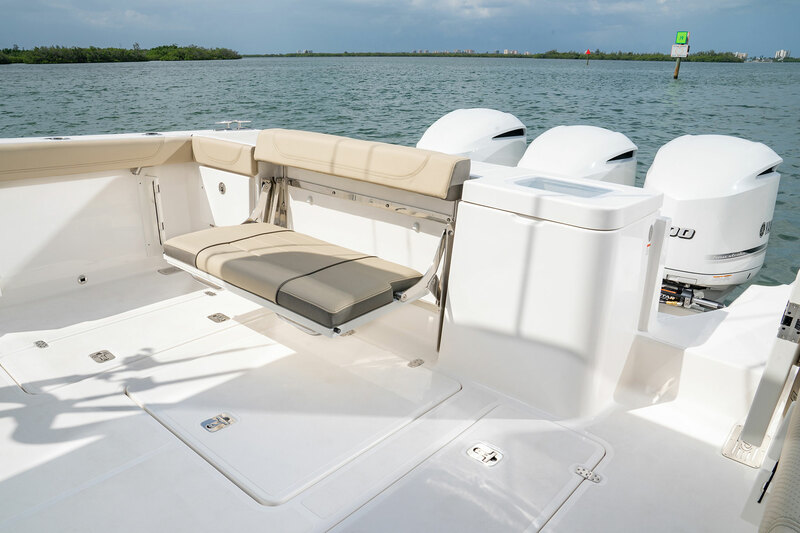 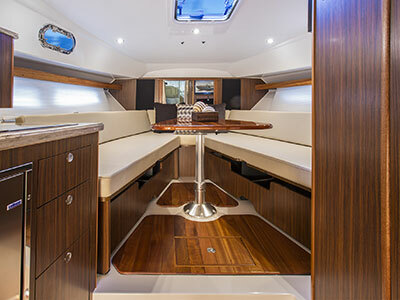 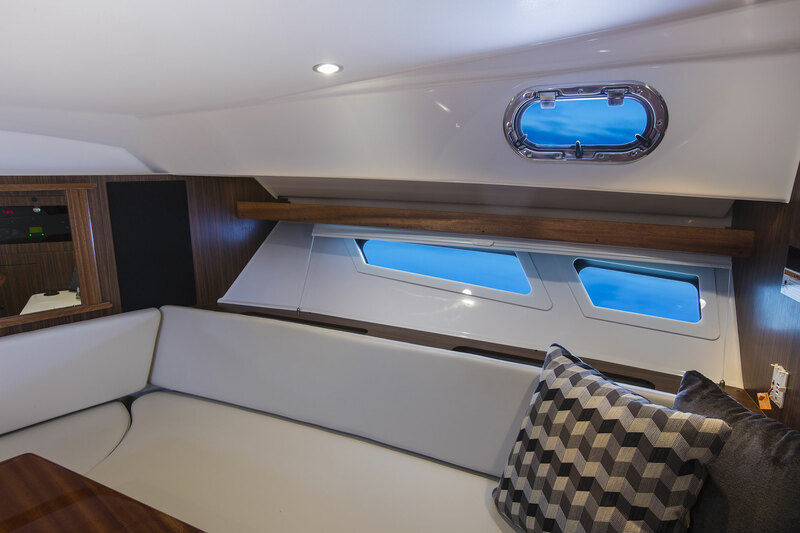 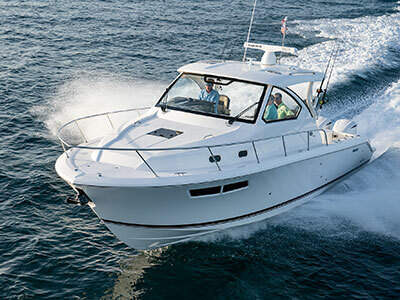 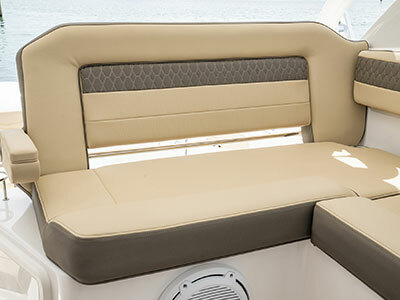 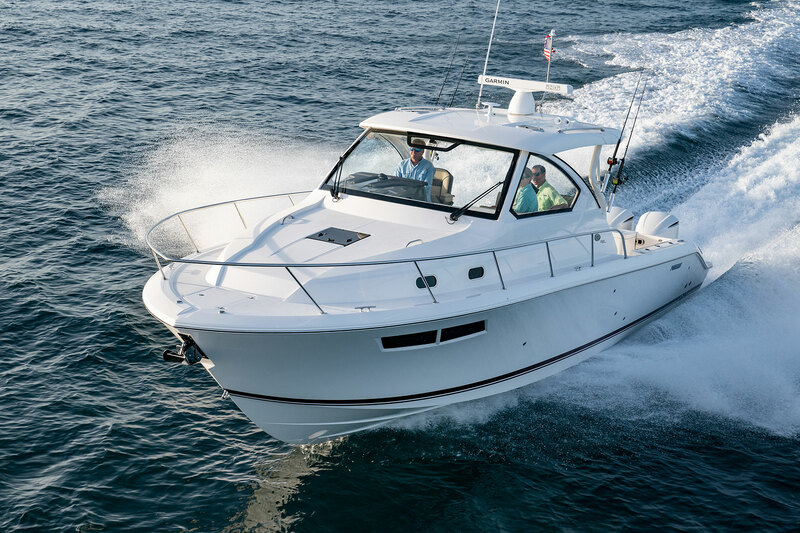 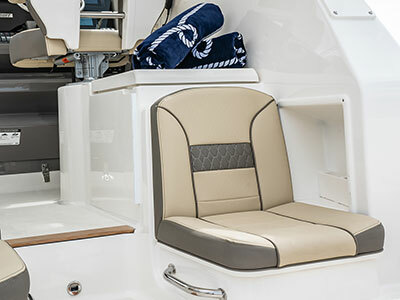 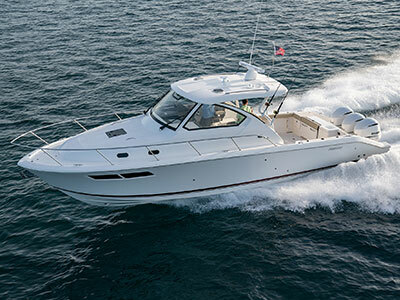 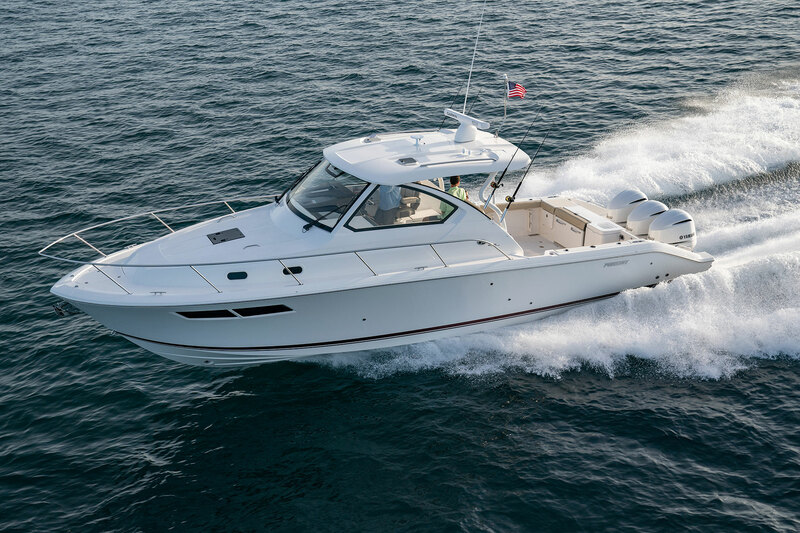 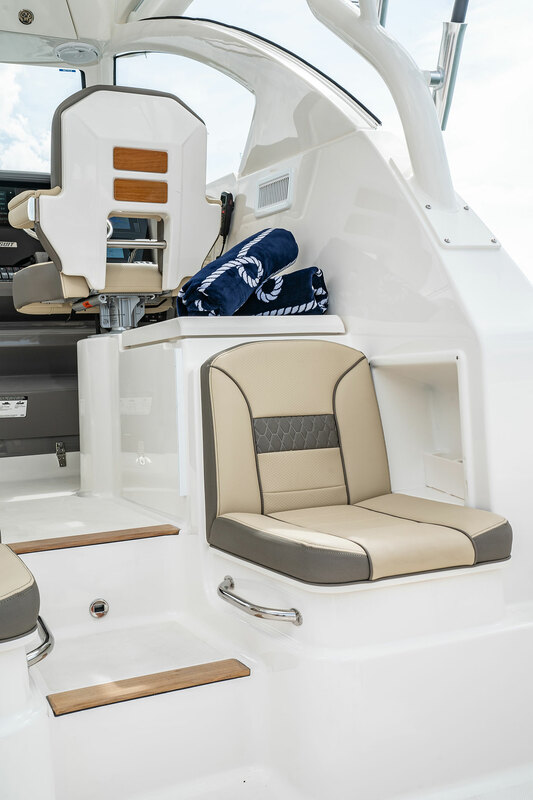 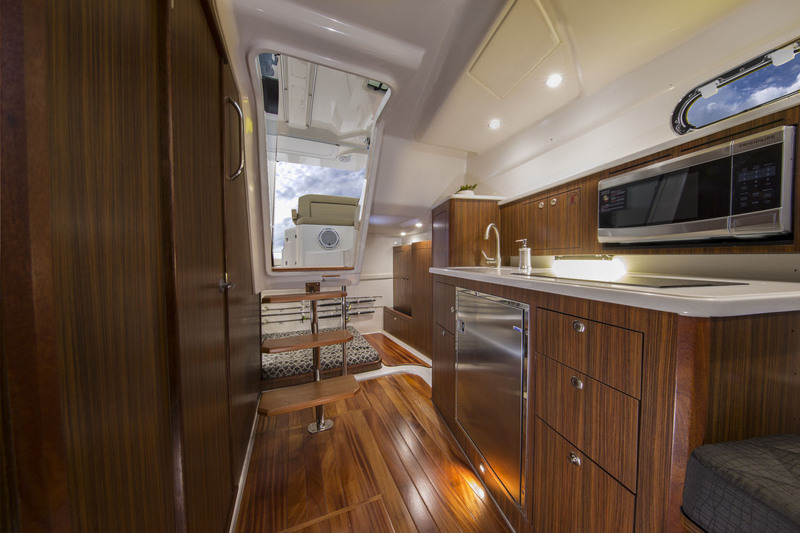 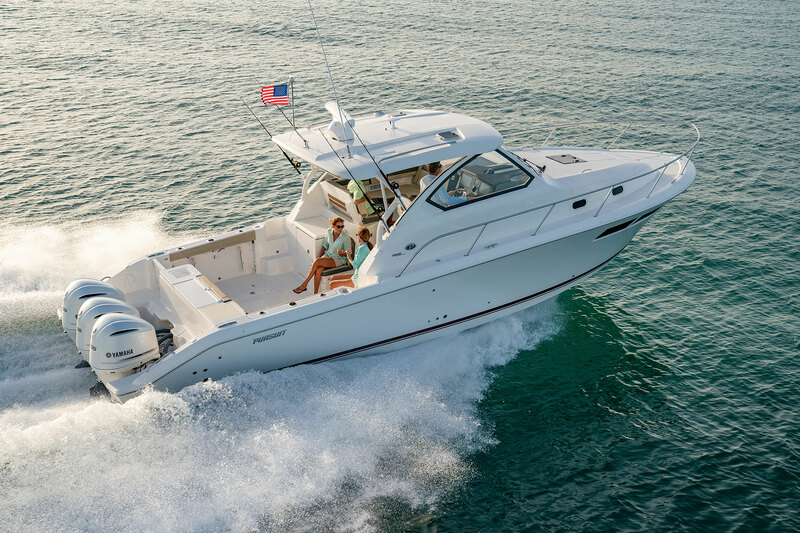 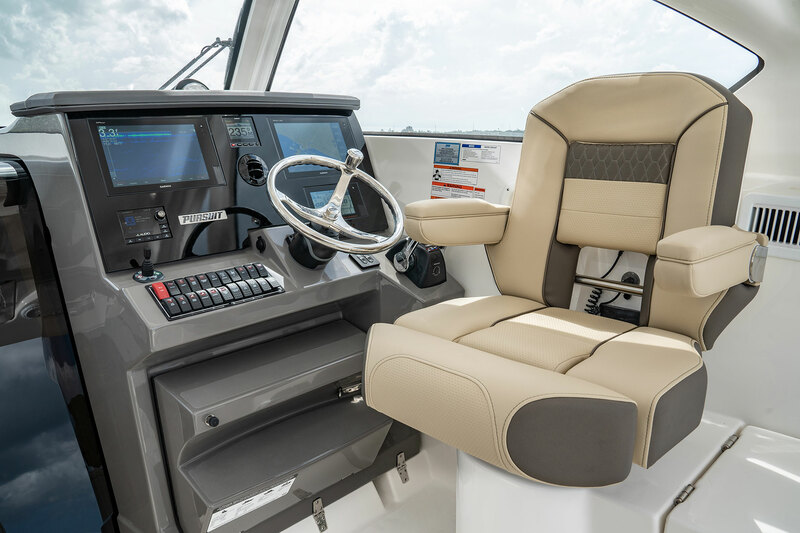 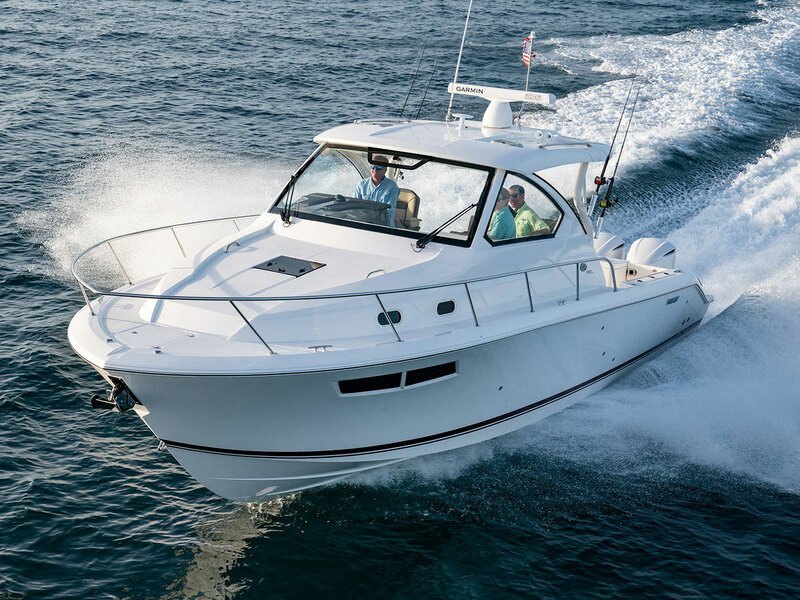 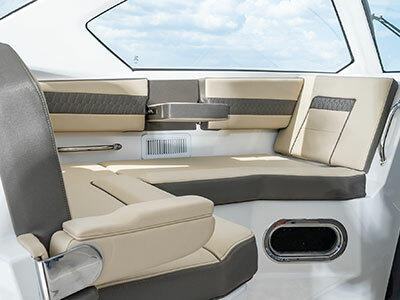 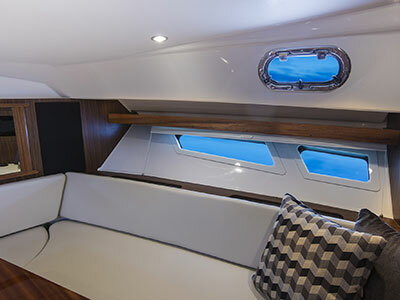 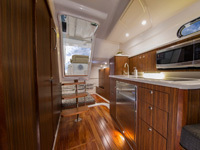 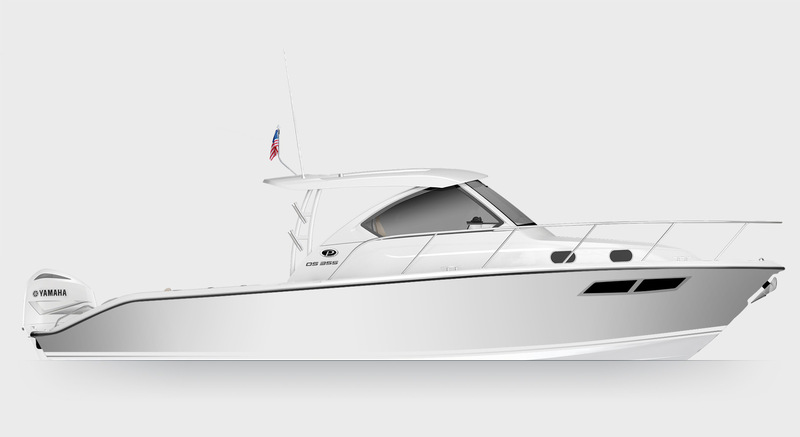 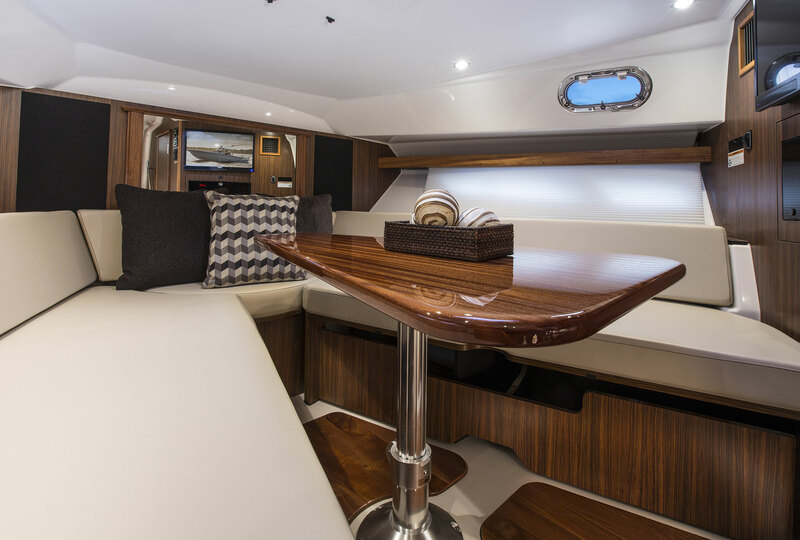 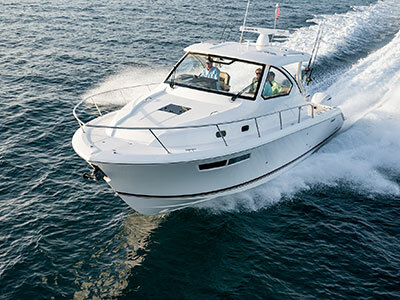 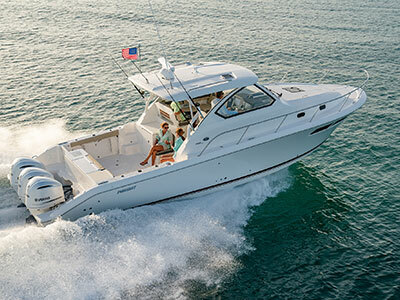 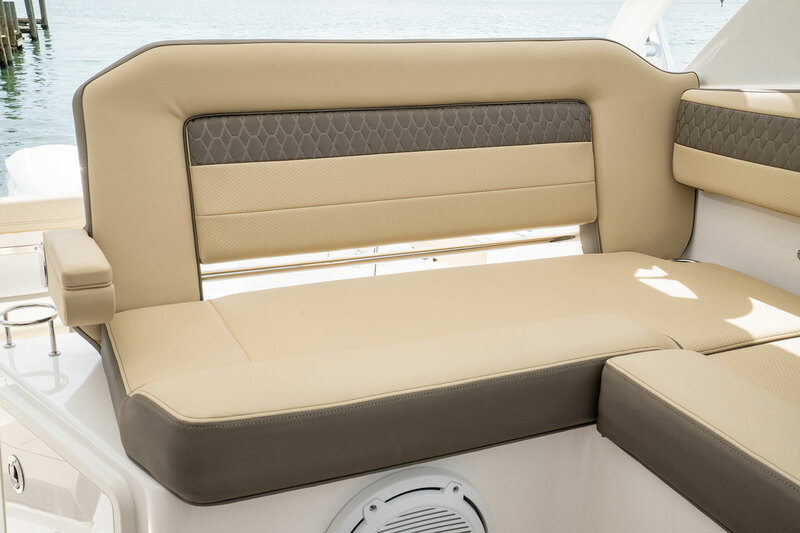 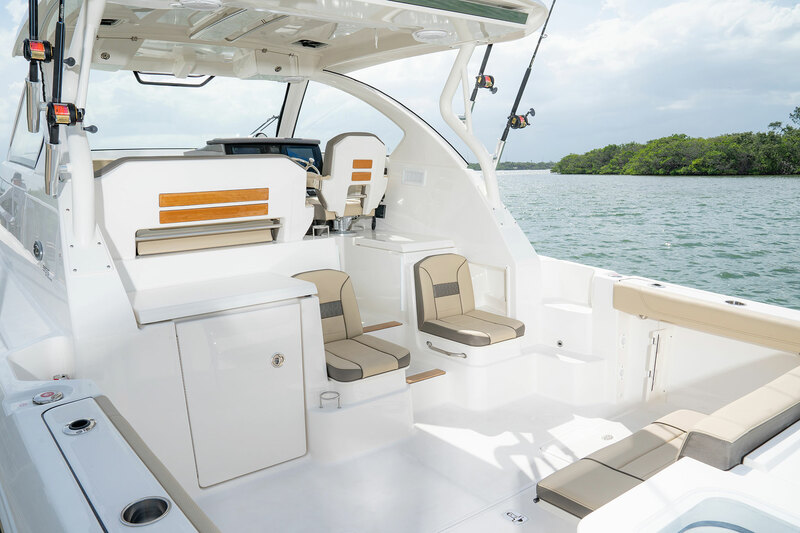 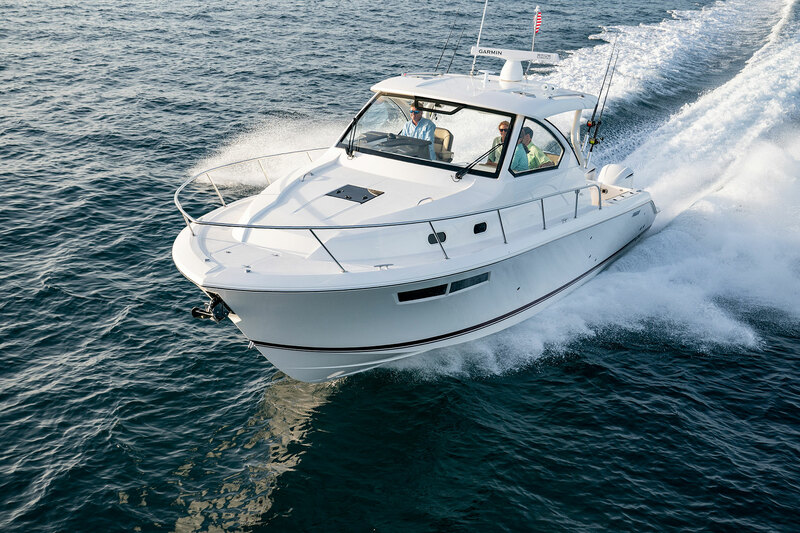 The increased natural light through stylish hull-side windows, stainless-steel refrigerator and electrically actuated convertible berth/dinette are a few of the cabin features elevating this new model with yacht-caliber appointments.